Alex and his wife, Kelly Jane, have been active supporters of the San Francisco General Hospital Foundation for a number of years, and are proud to secure a $25,000 donation to the hospital as the 2019 western region's Most Exceptional Community Service Award winners. Please visit the foundation's site to learn more about the great work they do in the Bay Area. 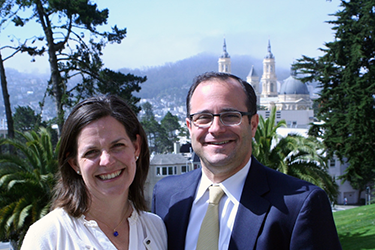 Alex and Kelly Jane Rosenblatt featured in USF article - "A Combined Passion For Philanthropy"
AUGUST 2015 -- In an article published by the University of San Francisco - "A Combined Passion For Philanthropy" - Alex and his wife, Kelly Jane, share their stories about their connection to the university, commitment to education, and strong passion for giving back. Alex and Kelly Jane first met at USF and have always prioritized philanthropy. Three years ago, the two set up a scholarship in their names for a deserving student, who might not otherwise have the funds to complete a degree. It has benefited several students and grown into a permanent endowment, something they are both very proud of. 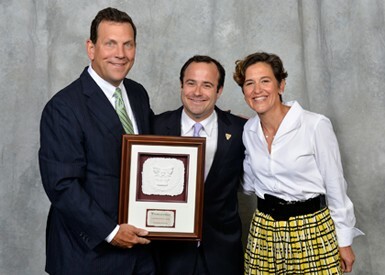 JULY 2013 -- San Francisco General Hospital Foundation, based in San Francisco, CA, received a $10,000 grant in honor of Northwestern Mutual wealth management advisor Alex Rosenblatt's exceptional volunteer commitment as part of the company's 19th annual Community Service Award program. Rosenblatt is one of 25 Northwestern Mutual financial professionals recognized as exceptional volunteers. Since the start of the Community Service Award program in 1995, the Northwestern Mutual Foundation has donated more than $3 million on behalf of its representatives to over 300 nonprofit organizations across the country.